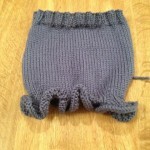 I am getting a little frantic in my mind about where I am with my gift making, but I do this every year! On top of Christmas there are 5 birthdays coming up, yikes! I am making a resolution with myself that I am going to get a head start on gift making, starting this winter – I say this every year too, but this year I am going to do it!! I think some of the frantic feeling comes with the fact that most of the gifts need to be mailed and therefore I need to get them done earlier. I haven’t even figured out what I am going to make Stella this year – nothing has really come to me, but I know it will – I can feel is fostering in my brain. I love tights, long socks, leggings and I remember leg warmers from days gone by and think I will eventually make myself a pair (another winter project). 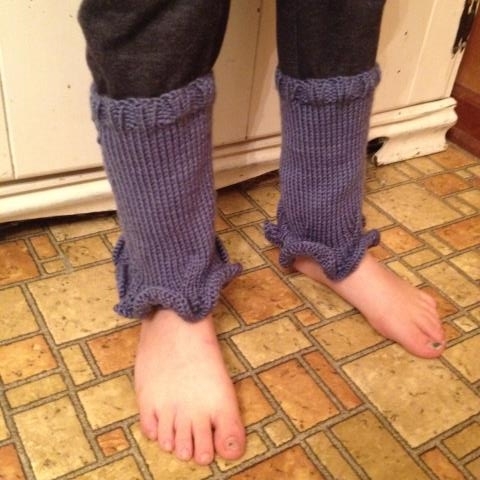 I have made a couple of kids leg warmers and wanted to make another pair for a present and when this pattern presented itself – the light went on. 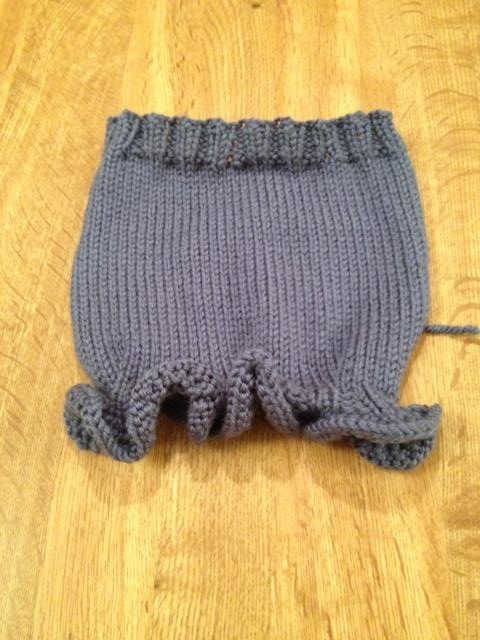 The original pattern called for it to be knitted on double pointed needles, which I will avoid at almost all cost – so I re-did this pattern to be knitted on straight needles. 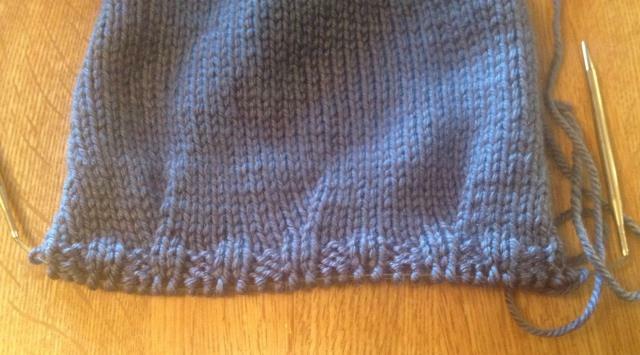 Gauge: 5 stitches and 7 rows per inch stockinette stitch. 1. Cast on 28 (32, 36, 40, 40, 44, 44) stitches. 2. 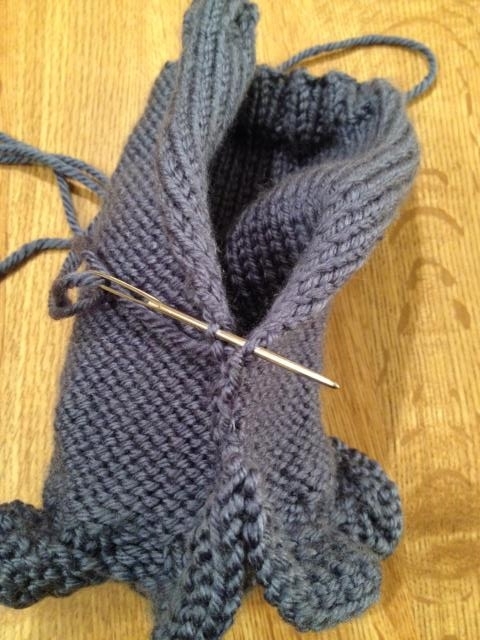 Work in 2×2 ribbing for 1 inch (K2, P2). 3. Next row increase: *K7 (8, 8, 10, 10, 11, 11), M1. Repeat from * across row. 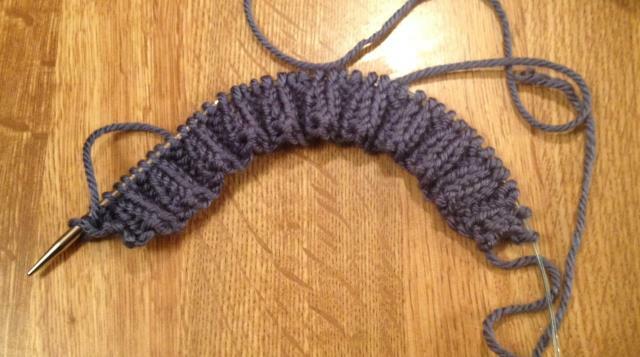 32 (36, 40, 44, 44, 48, 48) stitches. 4. 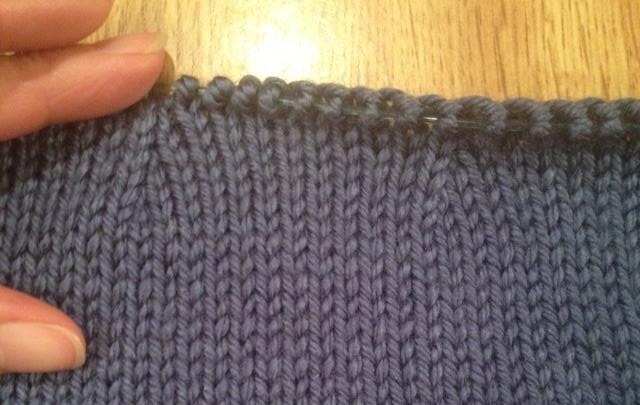 Work in stockinette stitch (knit 1 row, purl 1 row) for 1.5 (2.5, 3, 4, 4.5, 5, 5.5) inches. 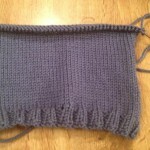 Start with a purl row and end with a purl row. 5. 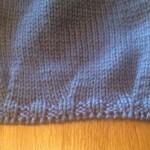 Next row: *K6 (7, 8, 9, 9, 10, 10), k2tog (knit 2 together). Repeat from * across row. 28 (32, 36, 40, 40, 44, 44) stitches. 7. Next row: *K5 (6, 7, 8, 8, 9,9), K2tog. Repeat from * across row. 24 (28, 32, 36, 36, 40, 40) stitches. 9. Next row: *K4 (5, 6, 7, 7, 8, 8), K2tog. Repeat from * across row. 20 (24, 28, 32, 32, 36, 36) stitches. 11. 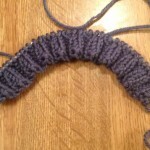 Work in 2×2 ribbing for 1/2 inch (K2, P2). 15. 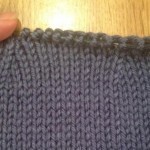 Kfb in every stitch across row. 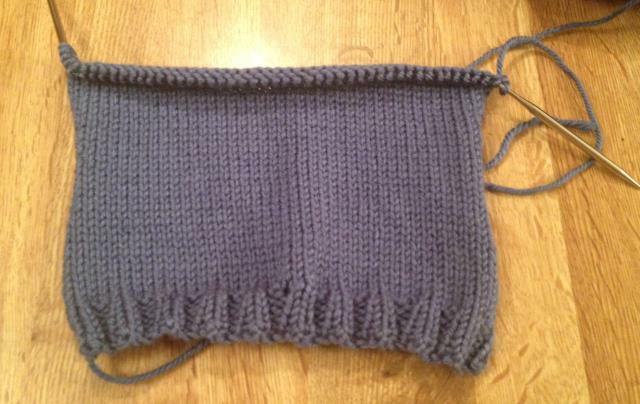 80 (96, 112, 128, 128, 144, 144) stitches. 19. 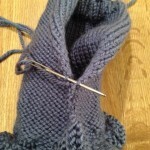 Sew up the seam and weave in all ends. This entry was posted in Crafts, Knitting and tagged kids, knitting, leg warmers, pattern. Bookmark the permalink.